LeBron James of the Cleveland Cavaliers after defeating the Golden State Warriors. 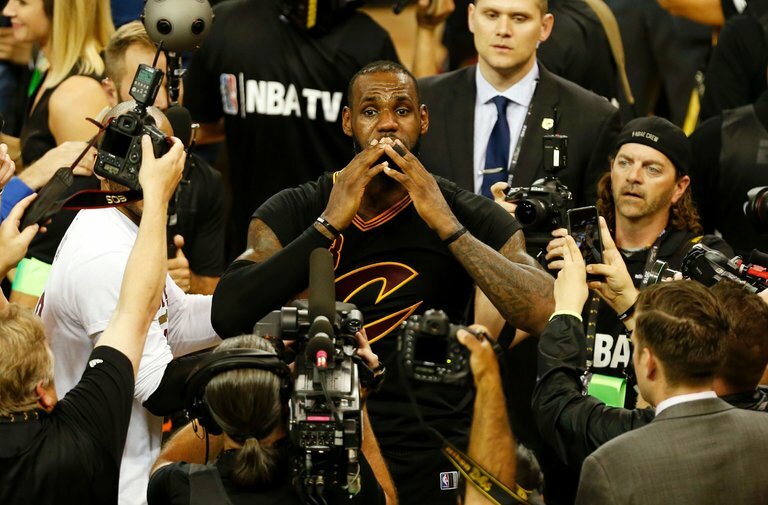 The thrilling Game 7 between the Cleveland Cavaliers and the Golden State Warriors Sunday night drew nearly 31 million viewers, the biggest total for an N.B.A. finals game in 18 years. The matchup was rich with story lines: LeBron James’s bid to win the first championship for a Cleveland sports franchise in 52 years versus Golden State’s march toward one of the best seasons in National Basketball Association history. To the delight of ABC executives, the game was decided in the final seconds. The Cavs took the championship, 93 to 89. Players spoke on Sunday after the the Cleveland Cavaliers beat the Golden State Warriors to win the N.B.A. championship, the first major title for the city since 1964.